Today, I will be checking out something that isn’t even out yet, but I managed to get my hands on one to test out. 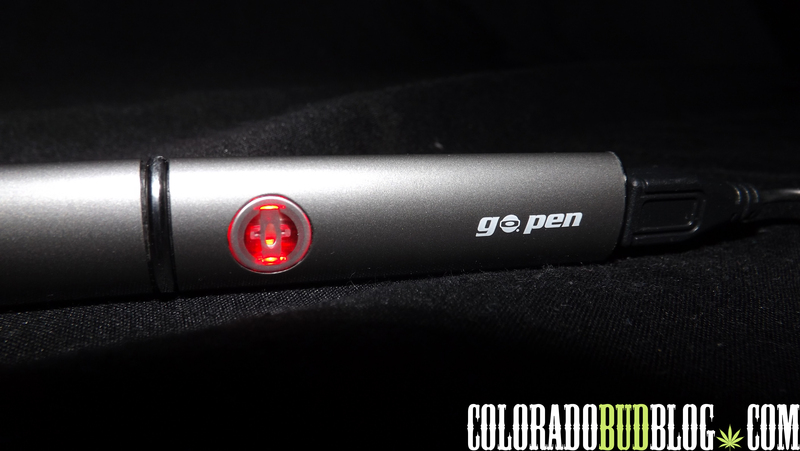 It’s the Go.Pen Vaporizer from O.Pen Vape. 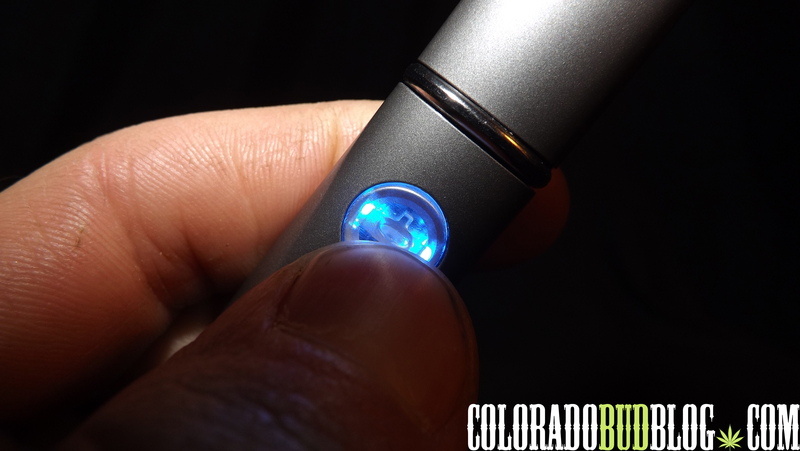 This is a handheld vaporizer for concentrates. Everything comes in a sleek little black box that closes with magnets. The box is small enough to fit in your pocket perfectly. As many of you medical cannabis patients might know, O.Pen Vape makes the O.Pen, which is a personal vaporizer that only uses cartridges filled with C02 hash oil, making it very discreet. However, the Go.Pen does not use cartridges, you can just put your favorite concentrate in and vape away! I really like the kit. It comes with the Go.Pen, a USB charger, a Dibber Dabber tool, and TWO atomizers, which is really awesome because I haven’t seen many other companies throwing in extra atomizers. 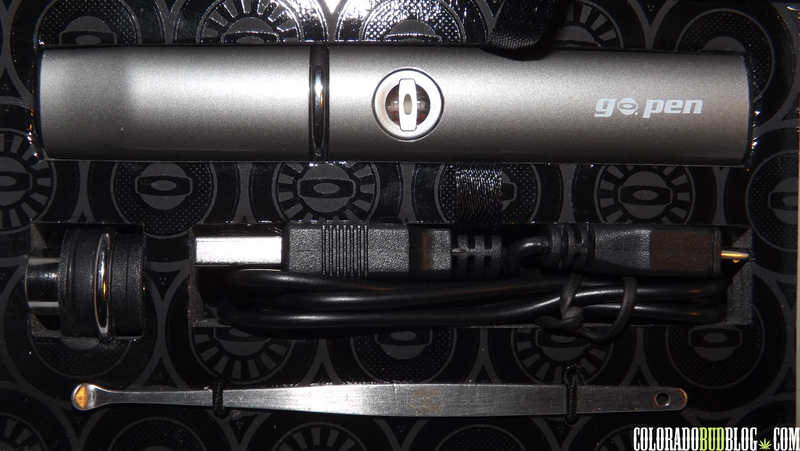 The Go.Pen breaks down in to 3 pieces: (left to right) the mouthpiece, the atomizer, and the battery. It is always good practice to fully charge the battery before using. Also, you will have to click the button on it 3 times to unlock it. You can also lock it by clicking the button 3 times, so it doesn’t go off if you just have it in your pocket. The atomizer is the part that actually vaporizes your concentrates. From the looks of it, it is a pretty standard atomizer. It has a bowled shape, which is great, as opposed to some atomizers that have a large lip where all your oil gets stuck. The first time you use a new atomizer, you are going to want to season it before you use it. 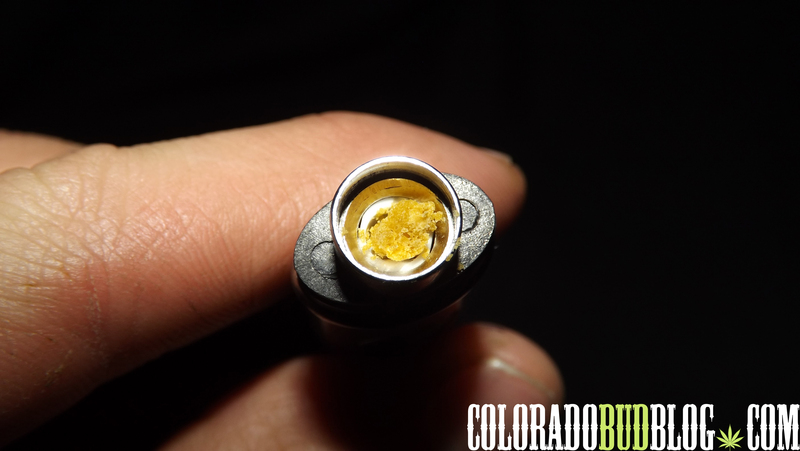 Simply throw a small amount of concentrate in there right on the coil. Without putting the mouthpiece on, hold down the button and let the concentrates vaporize on the coil. This will season the coil, which you should always do when dealing with vaporizers like this one. I really like the Dibber Dabber tool, it is nice and small so it can fit in the atomizer really well. It has a slight angle on it so you can easily pack down your concentrates on to the coil. 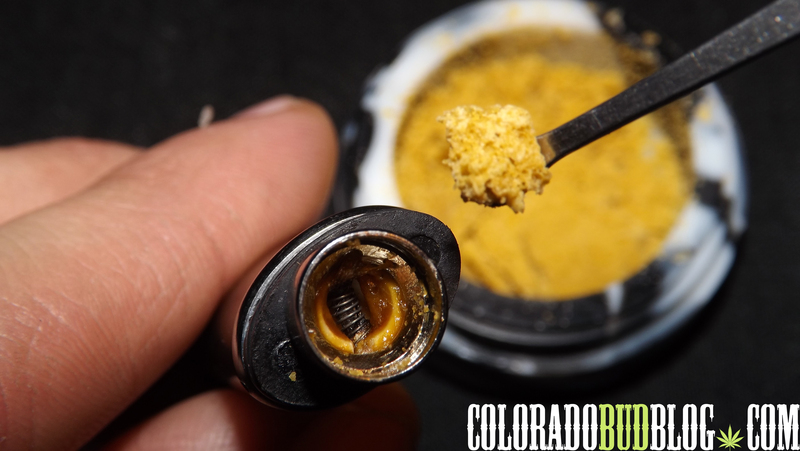 Scoop up some concentrates, not a huge glob though, try not to overload the atomizer. I like to pack it down right on to the coil, which is really where the Dibber Dabber tool comes in handy. The angle and the flatness of the tool is just right. Attach the mouthpiece to the atomizer and you’re ready to vape! Hold down the button to heat the coil, and inhale. 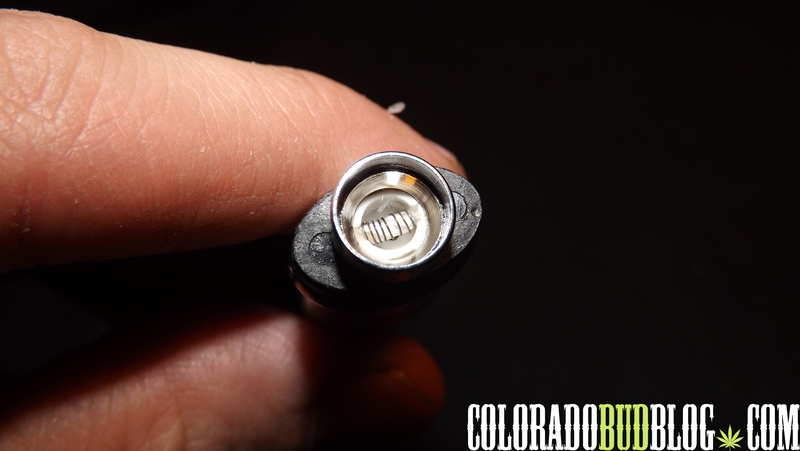 The coil with vaporize everything in the chamber as long as it is right on top of or close to the coil. If the battery is charged, it will glow blue. If it is dead, it will glow red. After nine seconds, the button will flash and turn the atomizer off, the avoid overheating. The button will also glow red when charging, and the light will shut off when it is fully charged. It takes about 2-3 hours to fully charge the Go.Pen. 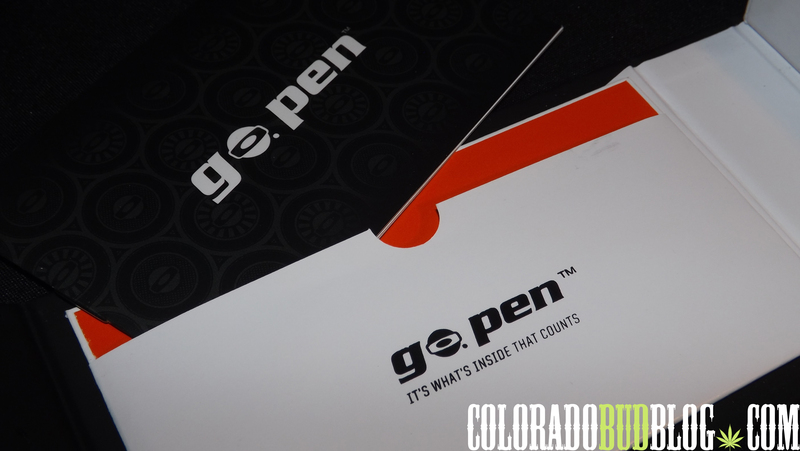 It comes with a small booklet to explain everything about the Go.Pen. My final thoughts on the Go.Pen are that it is great. It is comparable to the Cloud Pen, except I think I may like this better as it comes with an extra atomizer. I really like the kit, and the pen functions great, it vaporizes all of my concentrates quickly and effectively. There is even a lifetime warranty on the battery! The only thing I really don’t like about the Go.Pen is that the atomizer likes to get stuck to the mouthpiece, when it should have a better grip on the battery, which can definitely be frustrating. I’m not sure of how much they are going to cost when they come out, so keep your eyes open at www.OPenVape.com for more information about the Go.Pen! 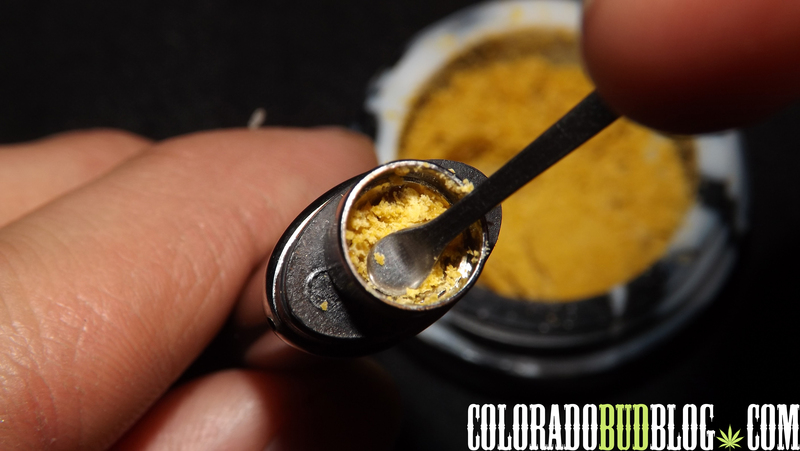 This entry was posted in 710, Colorado, Concentrates, Go.Pen, O.Pen, Vaporizer and tagged 710, Concentrates, Go, O.Pen, O.Pen Vape, Pen, Vaporizer. Bookmark the permalink. Does the button light up when charging? Mine lights red but then shuts off! Hope I don’t have a bum unit! Its done charging when the light turns off. And now I read your post more thoroughly. It was just locked. Thanks a bunch! I’m sure glad I found your review. It’s the first one that told me how to use my Go.pen. Mine came with the book missing so I hadn’t figured out why there was only one atomizer in the box when it said it came with two. I had to use pliers to separate the one on the pen from the mouthpiece. I hadn’t figured out where to put the oil until your review. So a big thanks for providing useful information on how to use the unit, which is left out of most reviews.